Inter Milan’s search for a new coach seems to get harder as the latest reports suggested that they failed again in acquiring on of their top targets, Andre Villas-Boas from Fc Porto, not long after the first two candidates, Marcelo Bielsa and Sinijsa Mihaljovic rejected the Nerazzurri. Villas-Boas exclusion was revealed by the Beneamata’s technical director, Marco Branca, stating that the Portuguese young tactician is very attached with Porto and there are several other reasons why the former Jose Mourinho assistant won’t be taking over Leonardo’s place this upcoming season. Should Branca’s statement is not some trick to calm the speculation down, than with only a week left from the promised time Inter made in terms of announcing their new coach, the most likely candidates left are the likes of local names such as Giampero Gasperini and Dellio Rossi. The two names are currently available as they’re not under contract by any clubs, meaning that Inter won’t have to deal with other teams demands should they are serious in negotiating with those tacticians. This situation is surely isn’t really good for the Nerazzurri as just like in the early part of last season, they are forced to make important change in the managerial post as the previous summer it was Jose Mourinho that left the club for Real Madrid. This year, just when Leonardo looks to be someone that can provide a little bit stability at Inter, the Brazilian suddenly move on to take the enormous offer from Paris St Germain’s new owner and become the French club’s new sporting director. The new coach will definitely be an important person to at least decide which way will the club go next summer, especially with several worrying signs from Inter’s star players such as Lucio, Samuel Eto’o and Wesley Sneijder who seems considering a move out from the Beneamata. Surely, should those players aren’t convince with the team’s future project, they might really take the decision to jump ship and accept the offers they’ve received from interesting teams abroad. 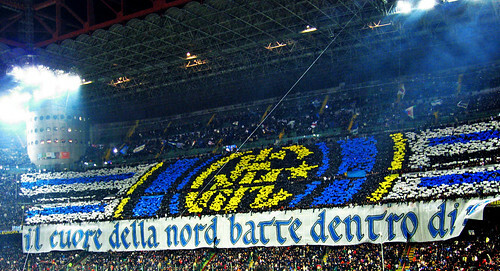 One thing for sure, things are not looking really comfortable for Inter next season as changing three coaches in such a short time is not actually a good thing for a big club, who needs stability above all to maintain the quality of their performances. Inter’s advantages as a team filled with quality players might also regressed should the important players from the club really walks away next summer, even if they managed to get players with equal quality to replace those who departs.